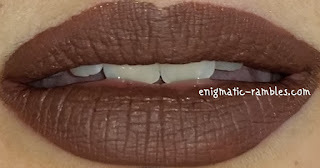 This liquid lipstick is a dark brown shade which is matte in finish. 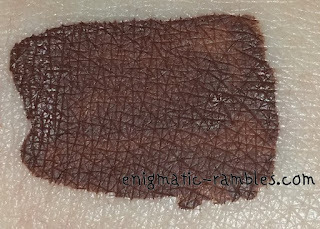 I found this swatched on my hand the same colour as it ended up on my lips, but it was darker than you would expect from the tube. This only needed one coat to achieve full opacity. 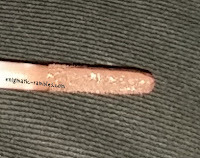 It didn't need setting and once dried it didn't stick to itself or anything once dried. It is kiss proof and lasts for hours, eventually it does begin to crumble from the inside out. It has a mild scent in the tube of sweet, vanilla but on the lips the scent disappears.